Grayson is a bright, ambitious 12 year old and an avid lover of all things camouflage. He’s also courageously battling stage III Hodgkin’s lymphoma. Grayson was diagnosed last year and underwent more than five months of chemotherapy and radiation. He bravely fought the disease and was declared cancer-free. Unfortunately, after only nine months, Grayson relapsed. Grayson is currently being treated at Florida Hospital for Children. He recently underwent a stem cell transplant and has completed chemotherapy. He will have a PET scan this month to see if he is in remission. If so, Grayson will begin receiving radiation to the newly affected areas to ensure the cancer is completely eradicated. This ongoing treatment requires his mom to provide full-time care and leaves her unable to work. Grayson’s grandmother has stepped in to help. She provides additional support at home and looks after Grayson’s twin sister. His dad is able to maintain a full-time work schedule thanks to the assistance their tight-knit family and amazing church and school network have provided. The family is truly grateful for all of this love. Grayson enjoying the comforts of his favorite pattern - camo. 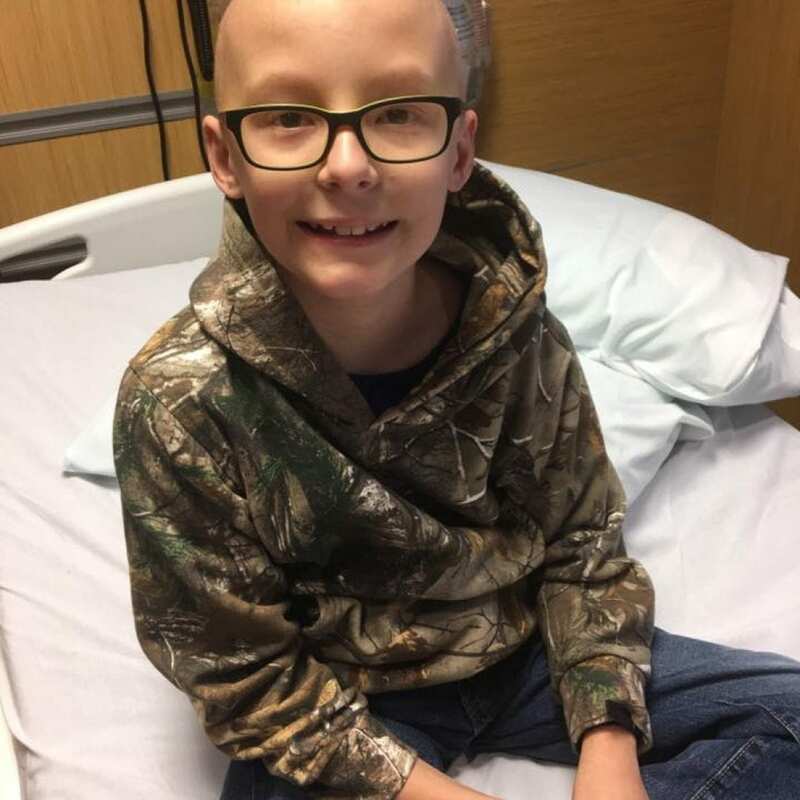 Despite the support this family has received from their dedicated community, Grayson’s difficult treatment schedule is taking a financial toll. Family Reach stepped in and provided direct assistance with several months’ worth of their bills. This allowed them to focus on Grayson’s recovery. The family is hopeful and remains #graysonstrong throughout this journey. Interested in helping families like Grayson’s? Join our Key Holder community.